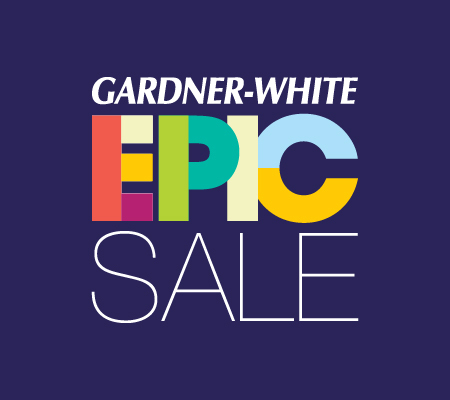 Estimated based on initial lease payment of $14 plus 60 weekly lease payments, not including sales tax or any optional delivery, warranty, or liability damage waiver (LDW) fees. 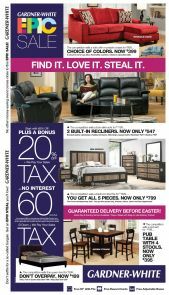 Unless you exercise your early purchase option, your total cost of ownership will be $840, not including tax or any optional delivery, warranty, or LDW fees. 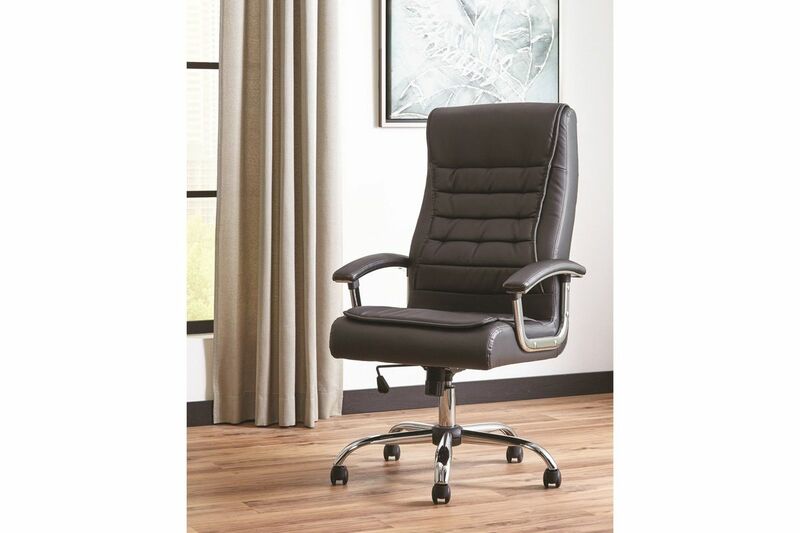 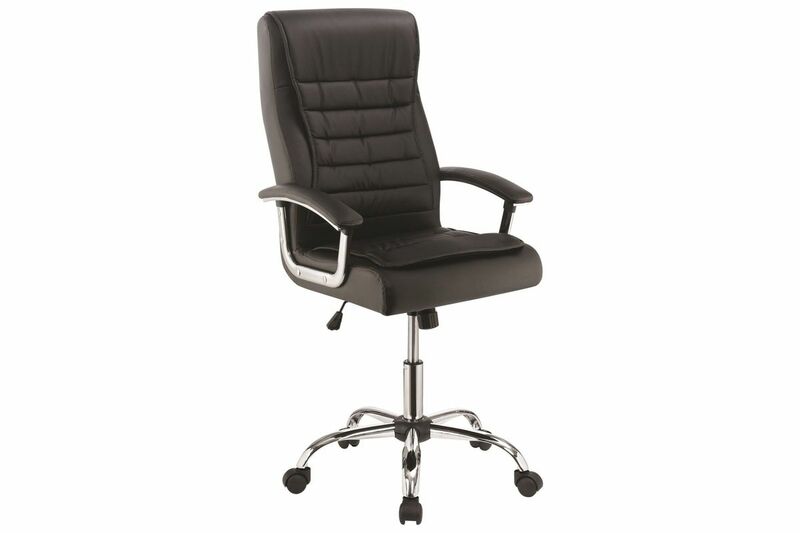 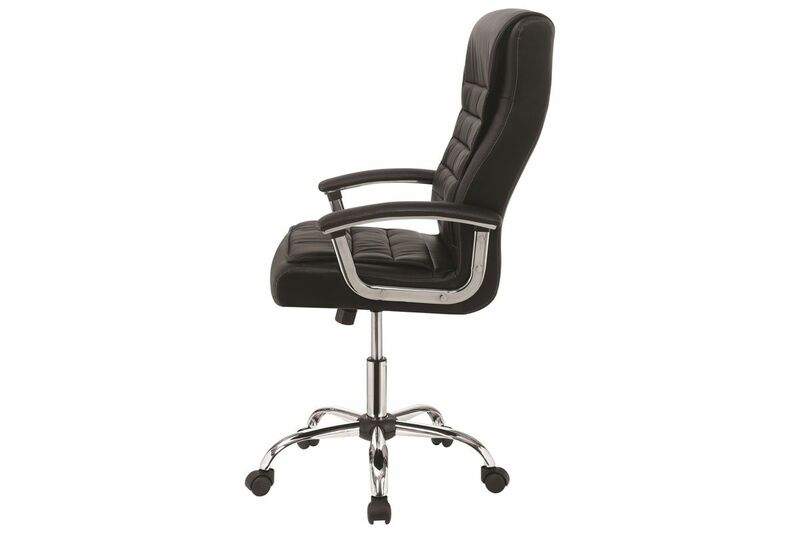 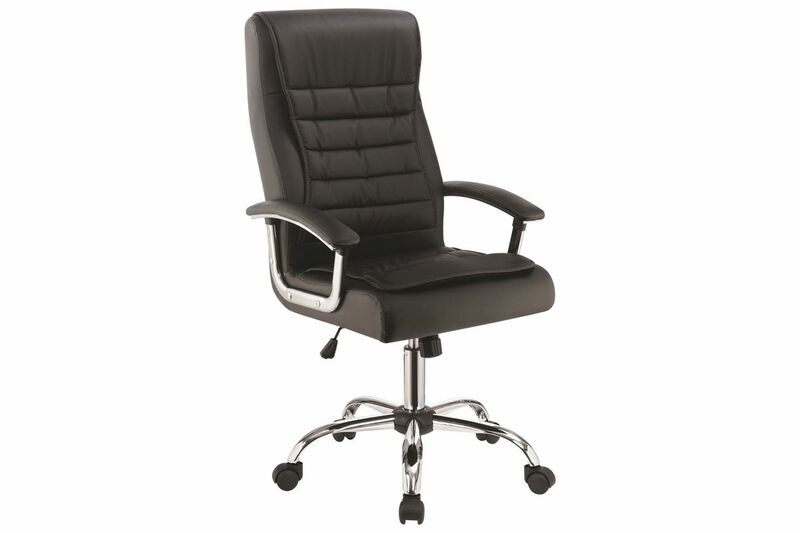 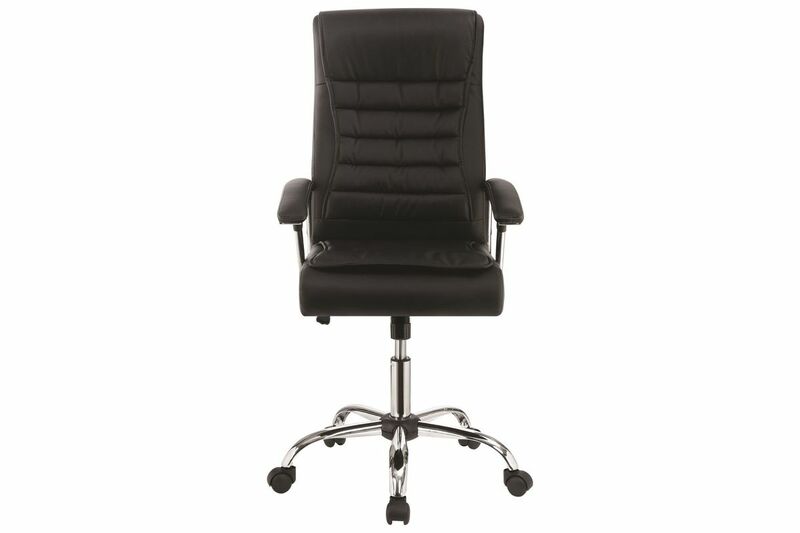 This black office chair is your classic corporate look. 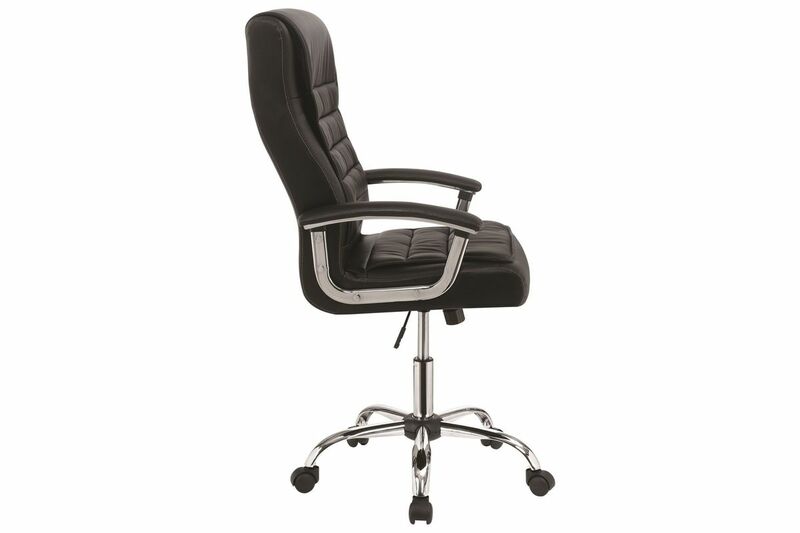 With a chrome steel base, this chair is upholstered in a black faux leather fabric with line tufting along the back. 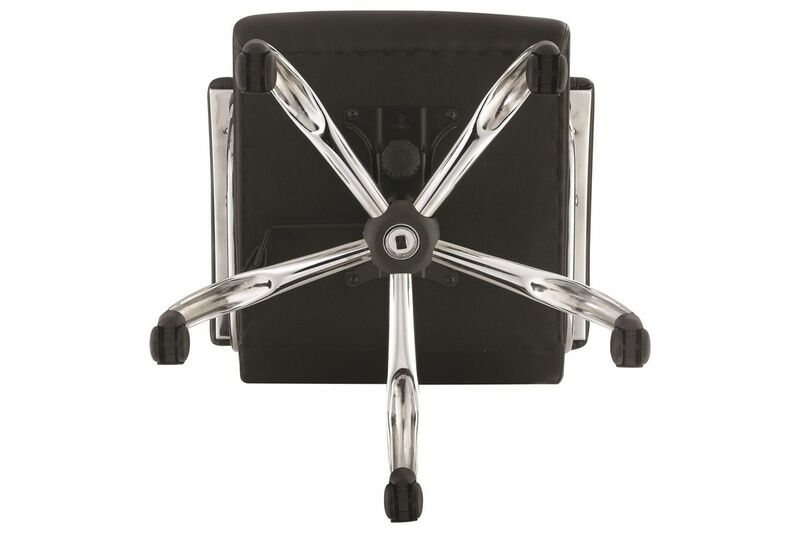 Adjustable seat and caster wheels let you find the perfect spot to take command of the conference call. 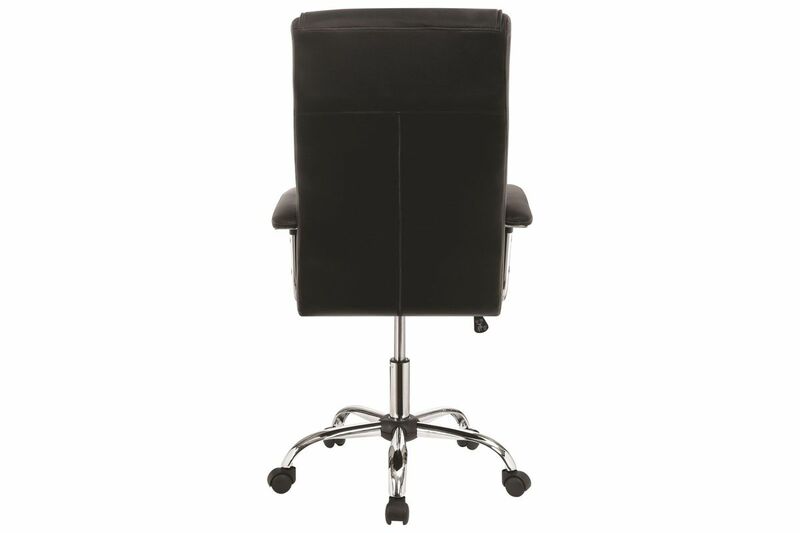 Dimensions: 25.25" W x 29" D x 44.5"H, Seat Depth: 18.5", Seat Height: 20"